the mallu, originally uploaded by _quasi. Shankar aka Tiger Menon ... The DON. I have heard about the "Hurda" thingie since childhood. 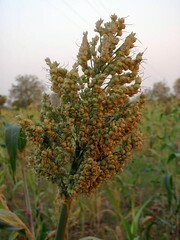 Jowar grows around Solapur and the young jowar tastes good when roasted. 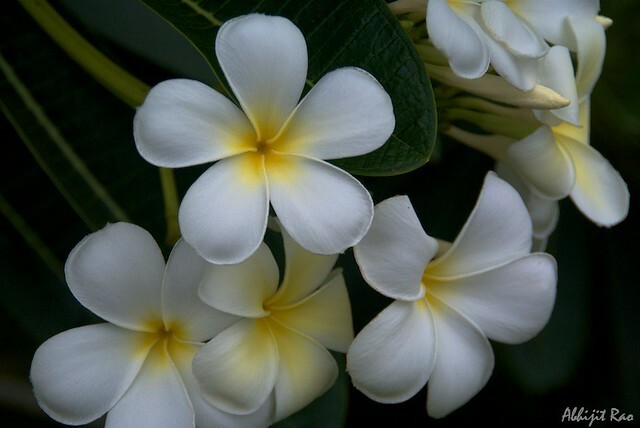 Solapur and surrounding areas have a ritual around the hurda experience. 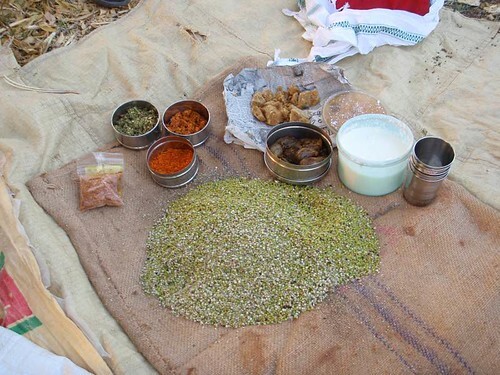 It's a farm party where you roast the freshly plucked young tender jowar and roast it. You eat it directly from the roasting when it is still hot and tender. To accompany we have jaggery (gud), shengdana-lassun chutney (both red and green), dry khobra chutney, wanga bhaji and taak (butter milk). We are not supposed to drink water over hurda -- only butter milk. So it was a great experience, sitting under a tree on a farm at sunset and eating fresh food. I was born in Solapur long back and I had my first hurda session this year. We went to a farm near Tuljapur which is about 44km from Solapur. This was Unmesh's (my cussin) friends family farm. Unmesh had been asking me to come down to Solapur this whole season. So I did. We went in the jeep. The 4x4 worked well on the farm road. The butter milk got churned and developed modules of butter inside which were pretty good to drink. The cussin and his friends spent some merry time jumping into the farm well and swimming. We roamed the farm. On Sunday at ~1700hrs I was at the SG National Park spotting snakes. Spotted 3. On Monday at ~1700hrs I was at the farm in Tuljapur eating cherries. On Tuesday at ~1700hrs I was at Sangola fixing the diesel tank which had lost a nut and drinking chai at hotel Mauli. On Wednesday at ~1700hrs I was at Panhala with 3 cussins, eating Missal Pav at hotel Manpasand. On Thursday at ~1700hrs I was at a garage in Kolhapur where Javed Mechanic serviced the knuckle housing. On Friday at ~1700hrs I was at my Maushi's place in Kolhapur with Unnu drinking Old Monk. On Saturday at ~1700hrs I was at Vishu's Baarat dancing at Chembur Tilak Nagar. On Sunday at ~1700hrs I was asleep at home in Goregaon. the boys showing off their flat stomachs and the hurda (young jwari/jowar/Sorghum) kernel.